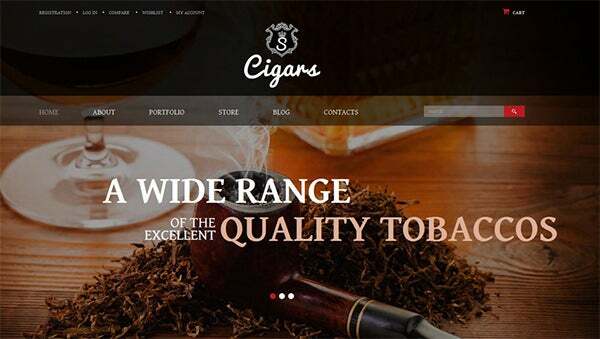 It is very easy to come across websites dedicated to a healthy alternative to smoking or even websites selling fancy tobacco and cigars online, either way, matching up to their standards can cost you a fortune if you do not have the right template and plug-in collection. 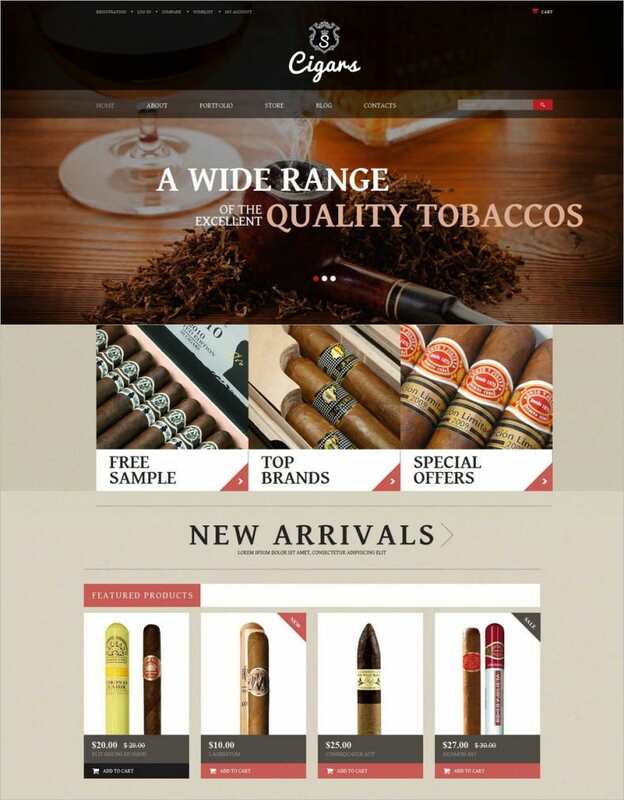 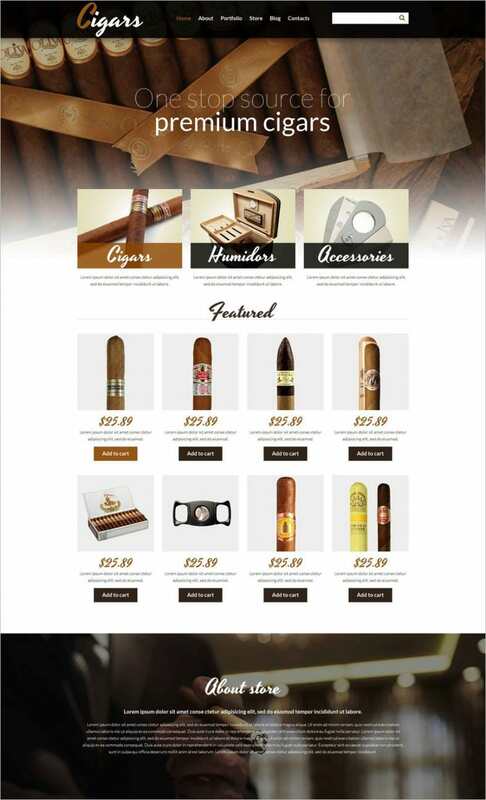 So here we are, to present you with a plethora of such tobacco themed WooCommerce template designs. 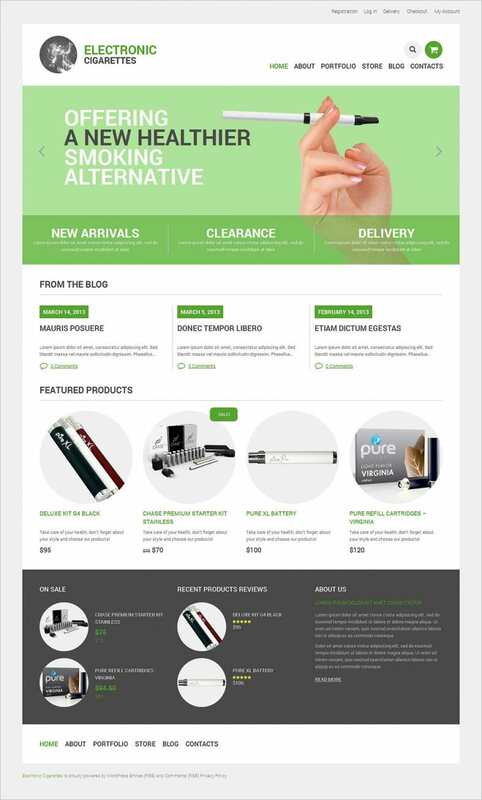 Cherry framework and complete Bootstrap support; with WPML ready features. 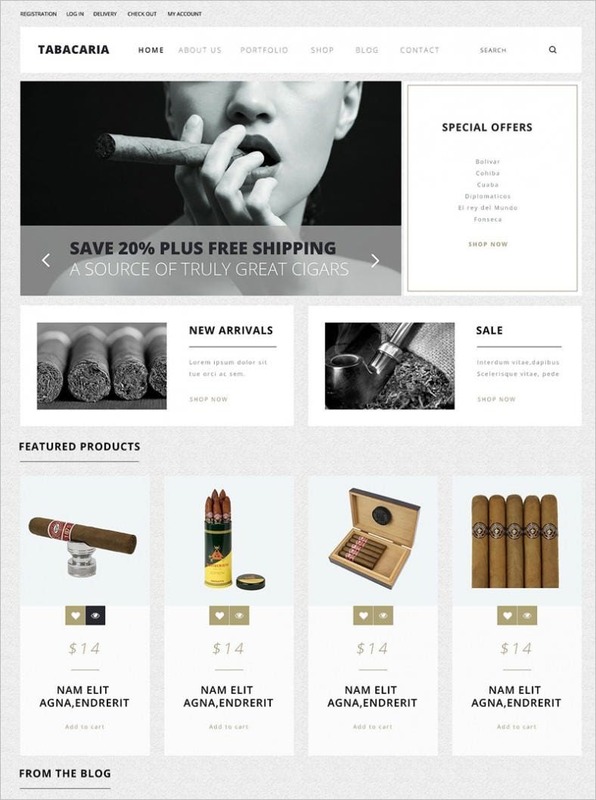 Advanced theme options, background changing options, layout options, multiple skins and column options. 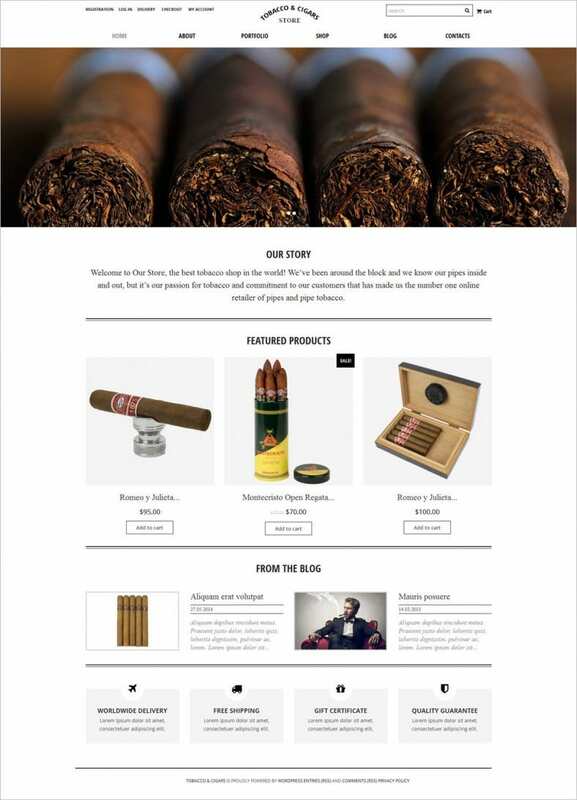 Currency converters and contact form plug-in. 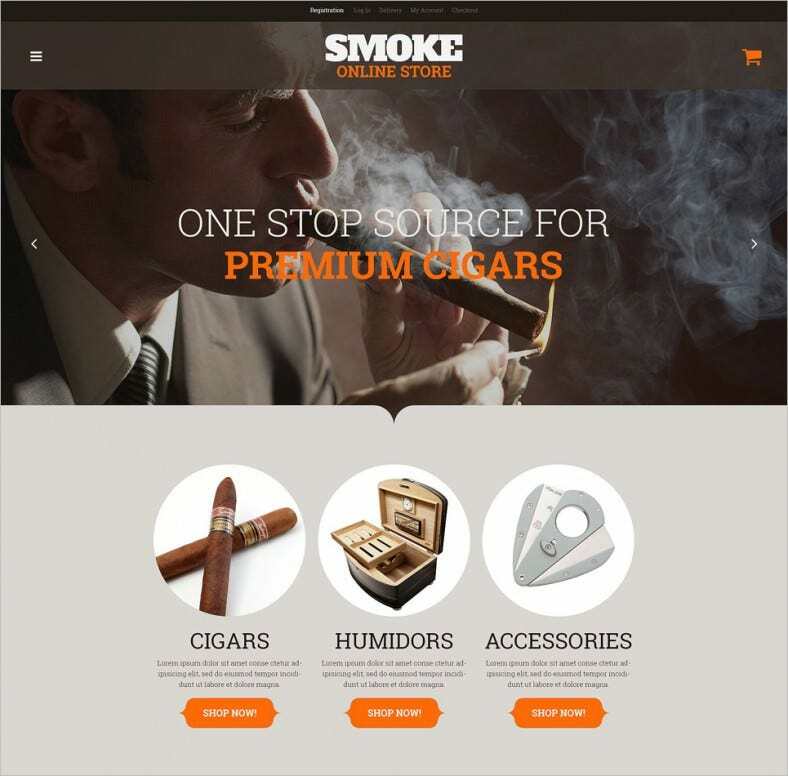 CSS3, HTML5, LESS code with Parallax, HTML plus JS animation.